The Rockefeller Library is pleased to announce that a number of archival collections relating to the restoration of Williamsburg to its 18th-century appearance are now available for viewing via the library’s Omeka site. They include the Thomas Mott Shaw Pencil Sketches, the F.S. Lincoln Photography Collection, and the Singleton P. Moorehead Streetscapes Collection. Thomas Mott Shaw was a principal architect of the prominent Boston architectural firm Perry, Shaw, and Hepburn, which John D. Rockefeller Jr. hired in 1928 to design, plan, and supervise the historical restoration of Williamsburg. His collection of thirty-four graphite and mixed media sketches depict various exteriors and interiors of buildings in Colonial Williamsburg’s Historic Area. F.S. Lincoln, a contract photographer hired in 1935 to take the first promotional photographs of Colonial Williamsburg, donated his collection of prints and negatives in 1972. His beautifully composed images document the pristine gardens, building facades, and exhibition building interiors as they looked when the museum first opened. Singleton P. Moorehead, another employee of Perry, Shaw, and Hepburn, came to Williamsburg in 1928 as a member of the firm’s architectural field office. He created the collection of streetscapes to give John D. Rockefeller Jr. a preliminary idea of intended restoration work for specific blocks within the town. A new exhibit opened at the John D. Rockefeller Jr. Library at Colonial Williamsburg in early September. It highlights four photo collections held by the Rockefeller Library that feature pre-restoration photos documenting Williamsburg as it appeared from the Reconstruction Era up until the eve of restoration work. Selections from each collection illustrate the value of the photos both as a record of the appearance of 18th-century buildings still standing and of 19th– and early 20th-century “lost” architecture that was torn down or moved during the restoration period. A final component of the exhibit is a brief video with segments of moving footage shot in the late 1920s from the back of a truck moving up and down Duke of Gloucester Street. Produced by the University Film Foundation in Cambridge, Massachusetts, under the direction of John Haeseler, the film known as The City of Williamsburg documented the condition of the town prior to the start of any major restoration or reconstruction work on its historic district. This historic footage shot between March 14th and April 11th, 1930, offers a fascinating glimpse into what it was like to travel up and down Duke of Gloucester Street in an early automobile. 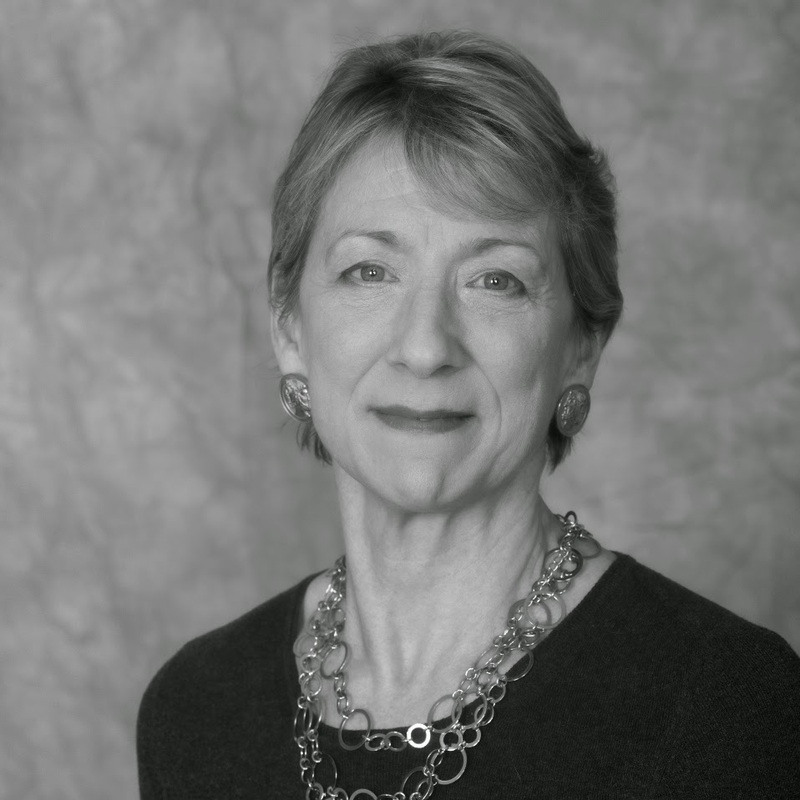 The Winthrop Group, Inc. (http://www.winthropgroup.com) is pleased to announce that Linda Edgerly, Founding Partner and Director, Information & Archival Services Division, will receive the 2014 Archival Achievement Award from the Archivists Round Table of Metropolitan New York on October 9, 2014. For nearly 40 years, Linda has been one of the most experienced and trusted consultants in business and institutional archives in the United States. In her unparalleled career as a corporate archivist, she has assisted scores of businesses and organizations in creating and managing archives, moving and processing collections, undertaking needs assessments, supervising records surveys and program implementations and overseeing a variety of digitization projects for clients including many companies doing business worldwide, among them American Express, Boeing Company, Campbell Soup Company, Caterpillar Inc., Citigroup, Colgate-Palmolive, Ford Motor Company, Kraft Foods (now Mondelez), MCA/Universal Pictures (now NBC/Universal), New York Stock Exchange, Pendleton Woolen Mills, Procter & Gamble, Western Union, and Weyerhaeuser Company. Her private clients have included Bill Blass, Ltd., Dale Earnhardt Estate, Laird Norton Family & Trust, Muhammad Ali Center, Roy Lichtenstein Estate, Tony Bennett, and U.S. Congressman Peter Rodino, Jr. Estate. Her non-profit client engagements have included the Africa-America Institute, The American Academy in Rome, American Symphony Orchestra League, Amsterdam News Educational Foundation, Chamber Music America, Columbia University, Cooper-Hewitt National Design Museum, Ford Foundation, Historic Hudson Valley, Jazz at Lincoln Center, John S. and James L. Knight Foundation, MOMA, Municipal Art Society of New York, National Resources Defense Council, New York City Ballet, Northwest Kidney Centers, Oregon Shakespeare Festival, Paul Taylor Dance Company, Roundabout Theatre Company, Solomon R. Guggenheim Museum, Trinity School, United States Tennis Association, WNET, WNYC, and the Whitney Museum. Linda’s career has often intersected with her personal interests in history, business, philanthropy, politics, and the visual and performing arts. 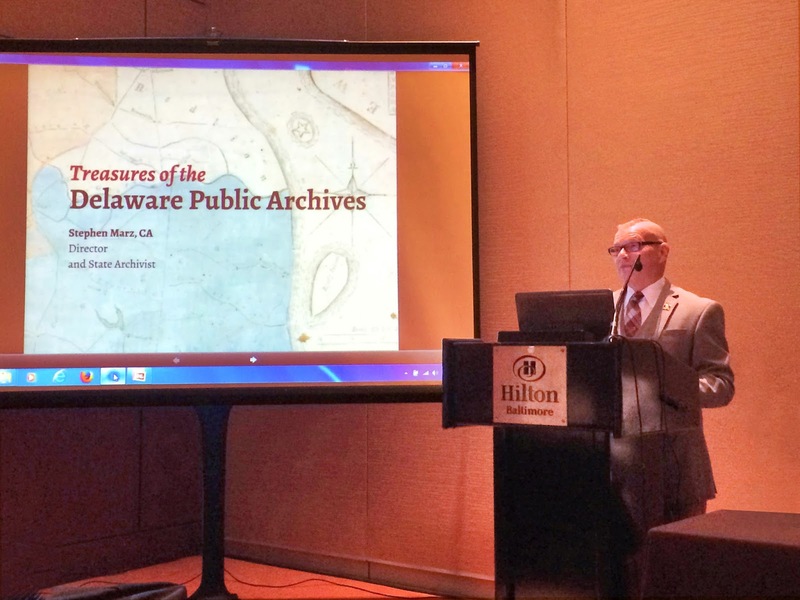 Learning from past experiences, she has gained insights from a wide-ranging and rich array of archival engagements and shared her knowledge with her colleagues at The Winthrop Group. From Linda’s example, the Information & Archival Services Division has earned the confidence of management and the respect of archivists and information managers by providing high quality, cost-effective work while adhering to the highest professional and ethical standards. Ms. Edgerly is a Distinguished Fellow of the Society of American Archivists, has served on the Society’s governing Council, and has chaired its Business Archives Section. She has been a member of Archivists Round Table of Metropolitan New York since 1979 and a member of the Mid-Atlantic Archivist Regional Archives Conference since 1972. She is also the author of “The Present and Future of Corporate Archives,”which was published in Business and Economic History. The repositories around the first state have been keeping busy all summer long and are looking forward to a great fall. Here are just a few of the happenings in Delaware. The Delaware Historical Society has just begun construction on major renovations to the Delaware History Museum and Old Town Hall. The Delaware History Museum is currently closed and will reopen in early 2016 with new exhibition galleries and the Center for African American History. In the meantime, the Society’s Research Library and George Read House and Gardens remain open to the public. The DSU Archives and Special Collections is about to wrap up the first year of its IMLS grant from the African American History and Culture program. See their progress on their blog here. Ongoing exhibit “Animal, Vegetable, Mineral: Selections from the University of Delaware Library Natural History Collection” is on display until December 19, 2014 in the Special Collection Gallery. More information available here. On exhibit until October 19th is an exhibit entitled “From the Hobble Skirt to the Little Black Dress: Fashion Fads, Trends, and Innovations, 1910-1940. Additional details can be found on page 8 of Winterthur’s Summer 2014 newsletter available here. Julia Corrin has joined Carnegie Mellon University Libraries as the University Archivist, responsible for the administration and management of Carnegie Mellon University Archives, located in Hunt Library. The University Archives collects and preserves records and personal papers of historical or administrative importance to the university, generated by faculty, academic departments, administrative offices or campus organizations, and makes them available for reference and research. “Julia’s experience with the preservation of digital records will move the University Archives forward as we continue to acquire, manage and preserve at-risk born-digital materials generated by our academic community,” said Director of Scholarly Publishing, Archives and Data Services Gabrielle Michalek. Corrin comes to Pittsburgh from Arkansas State University, where she was the Political Collections Archivist. 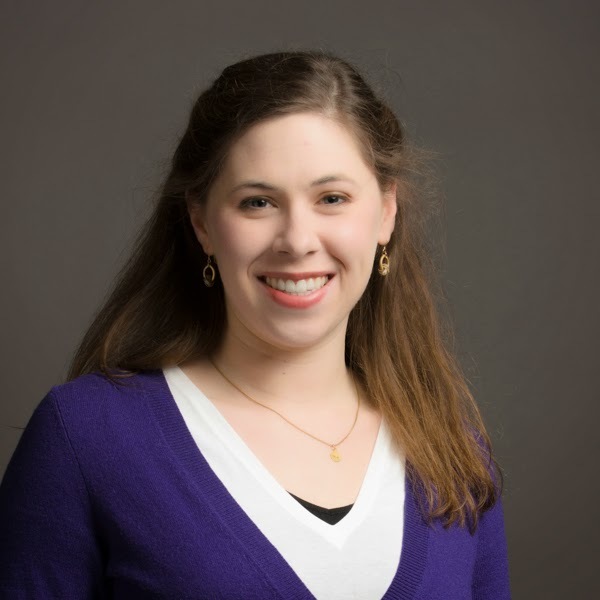 She holds a BA in American Studies from Carleton College, and an MS in Information, Archives and Records Management from the University of Michigan. Corrin succeeds Patrick Trembeth, who had a one-year temporary appointment. In April, Winterthur Library became an affiliate of FamilySearch, one of the largest online resources for the study of history and genealogy. FamilySearch offers an electronic catalog of its resources that includes entries describing its microfilm holdings, the organization’s acknowledged strength. FamilySearch, and before it the Genealogical Society of Utah, has been active in microfilming since the 1930s, amassing a collection of two and one-half million rolls of film. With the resources of FamilySearch available at Winterthur, library users will have the opportunity to use FamilySearch microfilm onsite instead of having to travel to FamilySearch family history centers. Library exhibitions include “From the Hobble Skirt to the Little Black Dress: Fashion Fads, Trends, and Innovations, 1910-1940,”running from August 5 to October 19, and “Is Your Future Bright or Black?” from October 21 to January 4, which focuses on fortune telling. While the major historic documents in DPA’s holdings are often identified as the most important, Mr. Marz described what he calls the “Oh My God” moment that researchers experience when they discover something new. These instances of discovery are usually born from collections that aren’t explicitly dynamic like vital statistics, newspapers and deed records. “What we often identify as a ‘treasure’ might not be the most valuable document to researchers. Their values, interests and research dictate what a treasure is, and we have to celebrate those everyday moments of discovery,” said Mr. Marz. Mr. Marz described how DPA is using social media to reach patrons beyond its physical walls and emphasized the importance of cultivating interest in younger generations of researchers by engaging them where they spend time online. Mr. Marz shared the stage with the Hon. Secretaries of State from Rhode Island and Tennessee and the session was moderated by the Hon. Tom Schedler, Secretary of State, Louisiana.